Archer accessories There are 22 products. 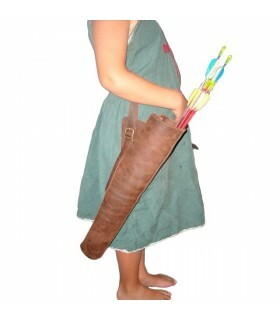 Bamboo bow for children. 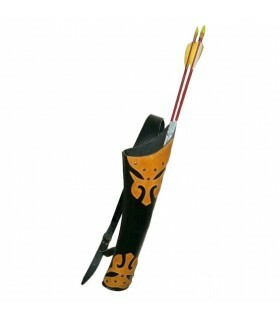 It Includes 4 arrows with suction cup and string parts, plastic sheet with target that can easily be hung by bringing reinforced holes in the corners. Arco Tamaño.- approx. 87 cm Diana: approx. 46 cms. CAUTION! Not suitable for children under 8 years. Use only under adult supervision. 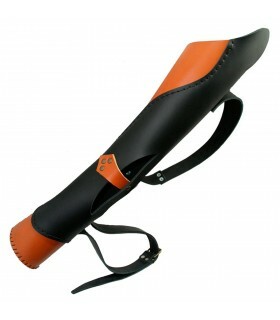 Quiver made of cowhide 3.5mm thick. As long Cnt 45 total. 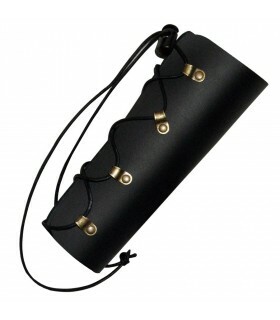 It is placed on his back by an adjustable strap. Possibility of doing in nego, abellana dark brown. Consult. 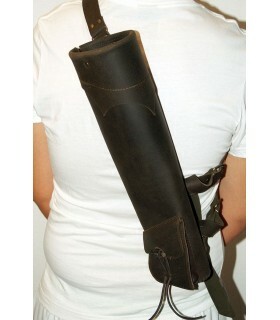 Traditional quiver to back. Brown and black combination aging skin. 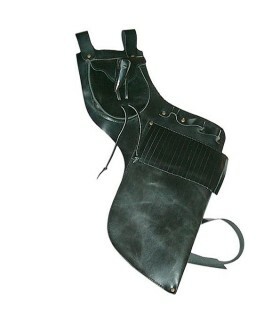 It has separator inside arrows, belt ajnustable back and waist and bottom pocket. It can be performed in other combinations on request. 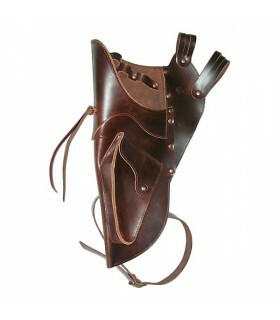 Brazalera especially for beginners and veteran archers made brown oiled leather. Very comfortable place. Article handcrafted real leather and top quality. 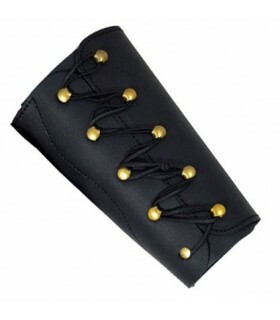 Brazalera protective subject by an elastic for comfort placement. Made in two color skins and chopped the tip shape. 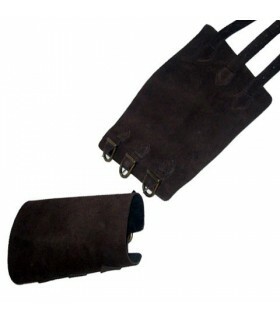 Article made of genuine leather of the highest quality. 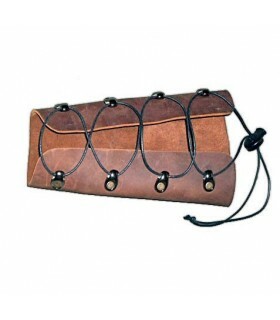 Traditional Brazalera made of leather with a central reinforcement to absorb as much as possible the friction of the rope. Article handcrafted real leather and top quality. 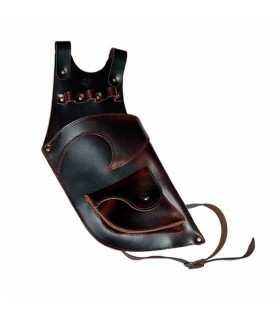 Brazalera for archers made of 3.5 mm thick leather and hand-tinted with a measurement of 18.5 centimeters long and prints decorate the profile. It is attached by elastic cord adapted to any measure forearm. Article Handcrafted real leather and top quality. 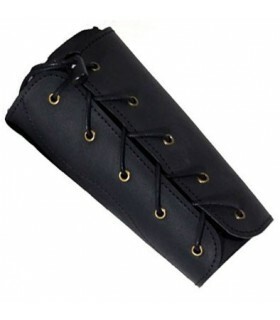 bracelet leather protector archery. Designed for classic archers. Check other colors. It INCLUDES 1 UNIT. Aprox.- 19 cms long. Article Handcrafted real leather and top quality. 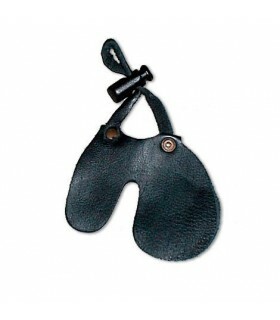 Peto protector made of suede. for shooters advanced archers. Available in various colors to choose from. 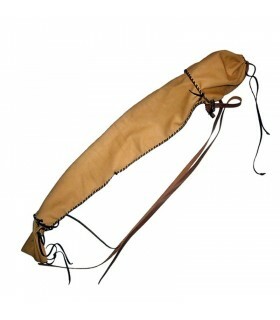 Traditional quiver for the back made of thick skin of about 3.5 mm. Sewn by hand with a leather pull uniting all the pieces and decorating singing the same way. Tube length, 60 centimeters. P>Possibility to do it in black, light brown, dark green red brown. Handcrafted article skins of the highest quality. 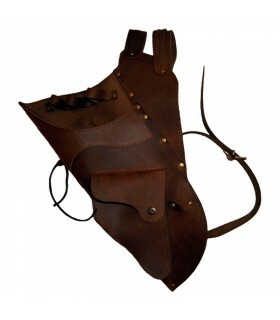 Traditional quiver belt made by artisans in cowhide of very high quality and pocket at the bottom. Tell us if you're left-handed or right-handed and if you want the arrow forward or backward. Article written by hand with premium leather. 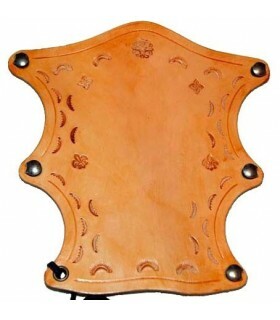 Leather quiver for beginners made by artisans in brown oiled leather. You can hang it on any belt. Article made of premium leather. 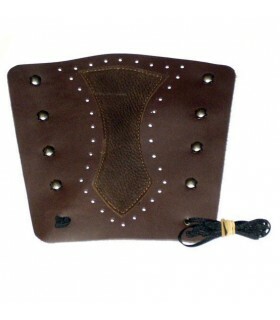 Traditional belt made by hand, in cowhide of very high quality and pocket on the bottom quiver. Tell us if you're left-handed or right-handed and if you want the arrow forward or backward. Ability to customize budget. Product handcrafted with premium leather. 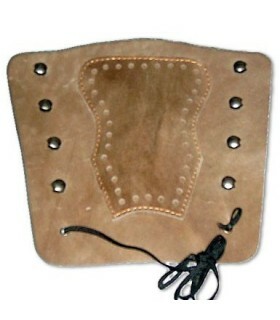 Traditional quiver belt made of artisan way in cowhide of very high quality, with pocket on top and close with an authentic traditional horn tip. Tell us if you're left-handed or right-handed and if you want the arrow forward or backward. Ability to customize budget. Article handcrafted in premium leather. 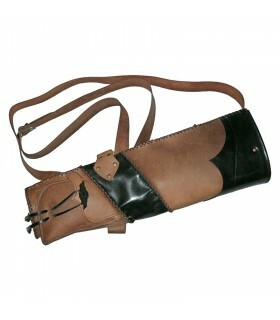 Traditional quiver belt made of artisan way in cowhide of very high quality and pocket at the bottom. Tell us if you're left-handed or right-handed and if you want the arrow forward or backward. Ability to customize budget. Article made by hand with the highest quality leather. 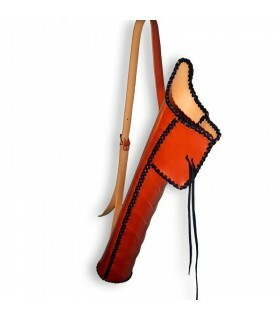 Quiver made of cowhide 3.5mm thick and sewn entirely by hand. As long Cnt 45 total. 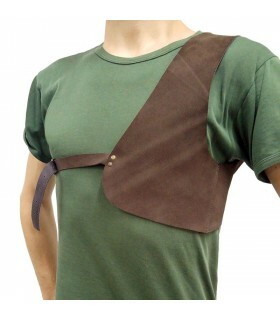 It is placed on his back by an adjustable strap. Article handcrafted real leather and top quality.